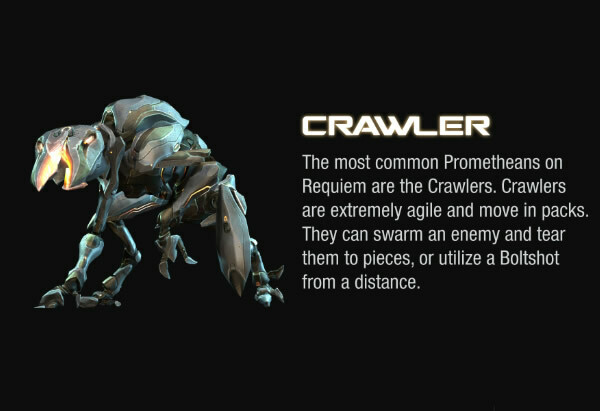 In Halo 4, Master Chief will face off against a new race of enemies called the Prometheans. 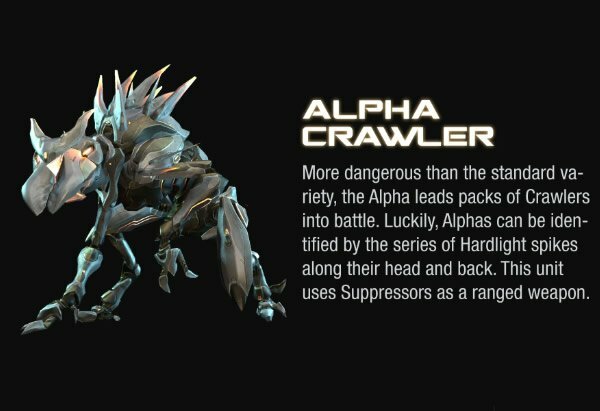 A large set of images has revealed the types of foes he'll face and what weapons they'll wield. 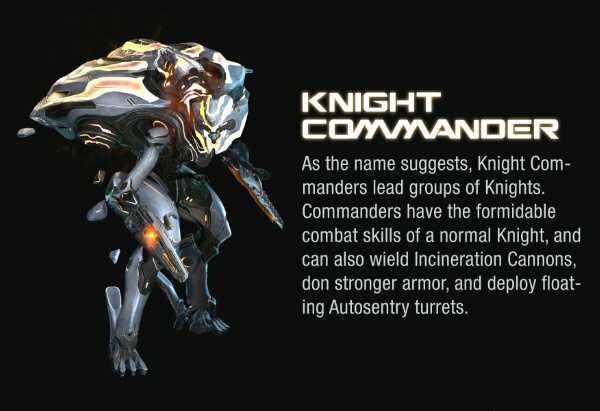 Prometheans come in various shapes and sizes. 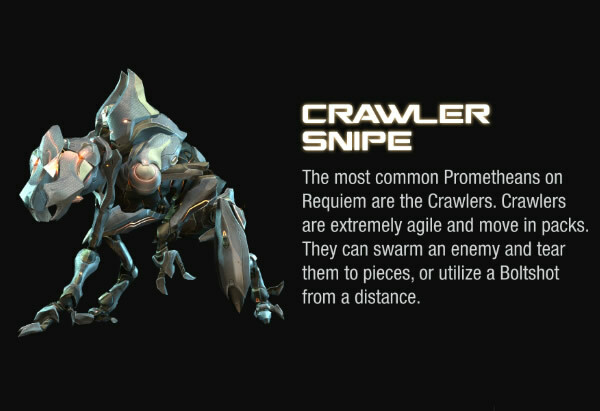 Master Chief will fight off agile packs of Crawlers and also contend with hulking, armored Knight Battlewagons. 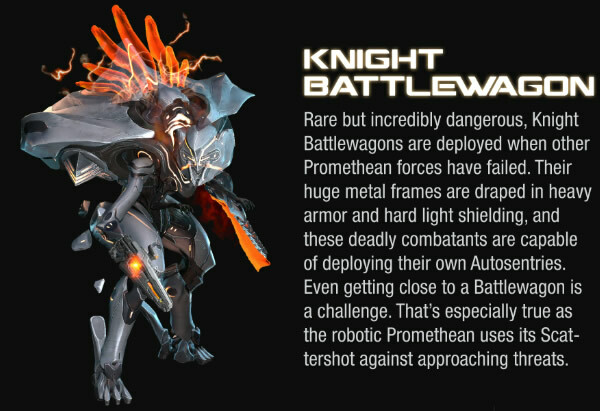 Each seems to have their own special "gimmick" ability. 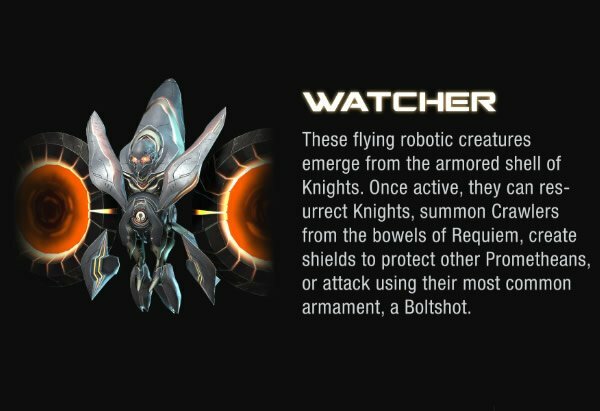 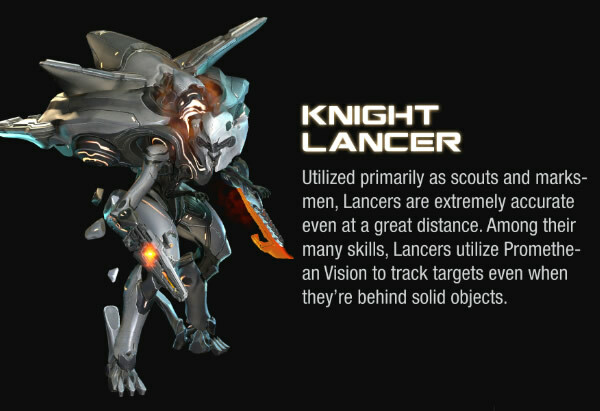 For example, Knight Lancers can see enemies through obstacles and Knight Commanders can deploy automated turrets. 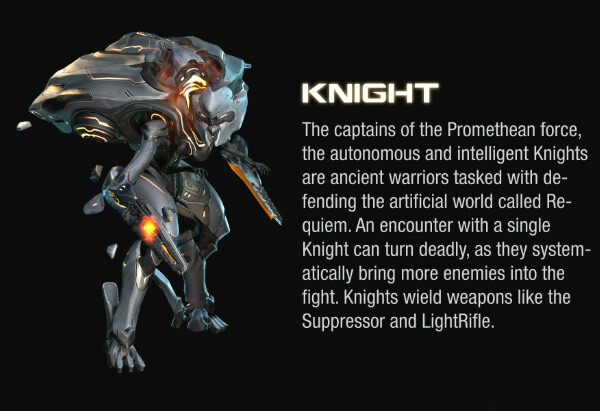 Many of the Prometheans are capable of wielding weapons. 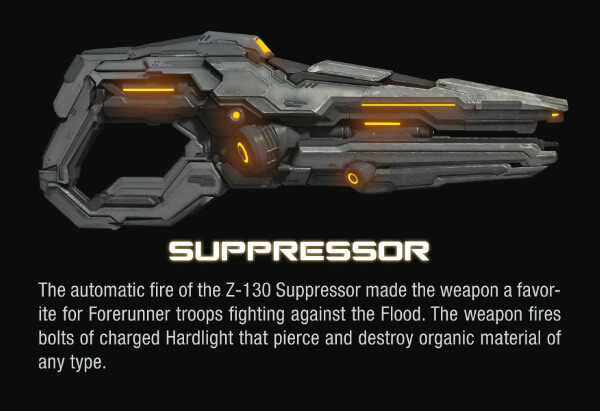 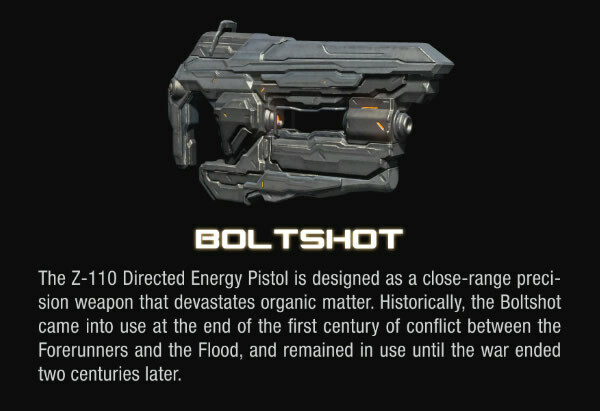 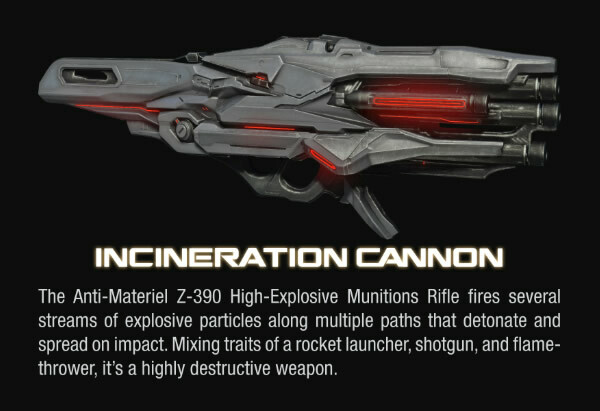 Many of these weapons are similar to standard UNSC arms, but with some interesting twist. 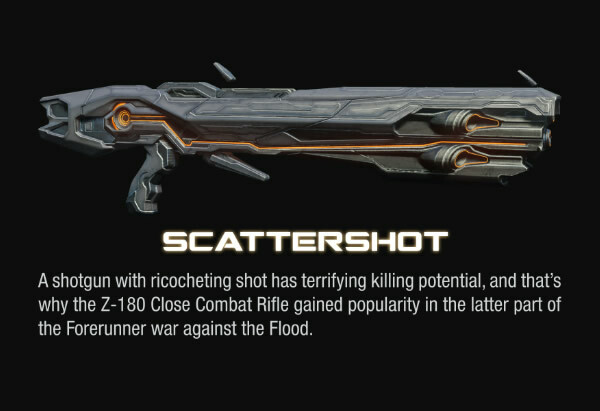 The Scattershot, the shotgun equivalent, has ammo that ricochets. 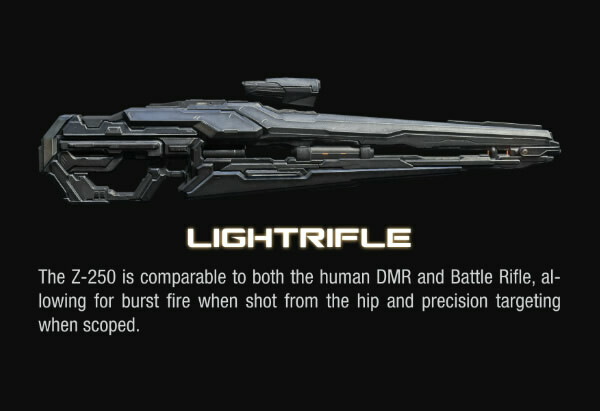 It'll be nice to fight something other than Flood or Covenant. 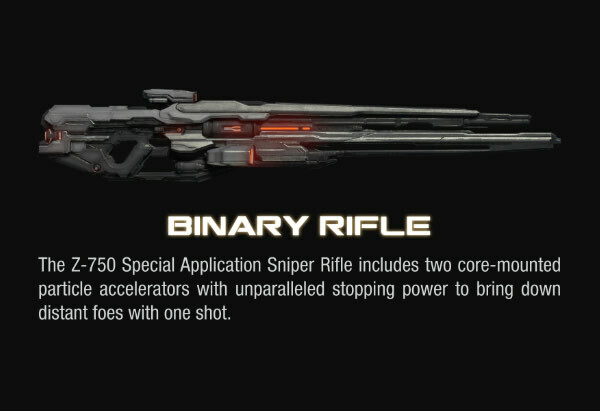 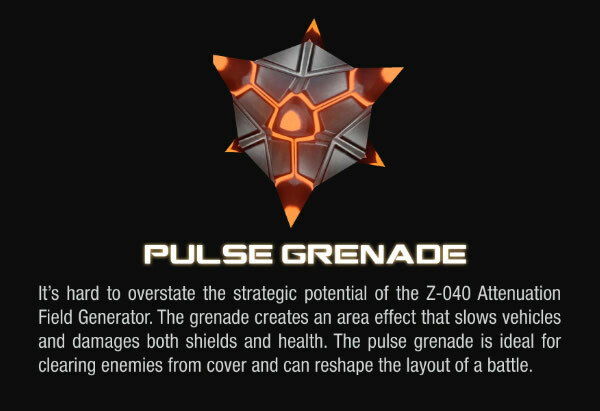 Previous Halo games really squeezed all they could from those types of enemies.